Former Australian Prime Minister Tony Abbott has joined the list of ex-politicians invited by President Petro Poroshenko to advise him on how to rule Ukraine as a member of the so-called ‘international advisory council'. 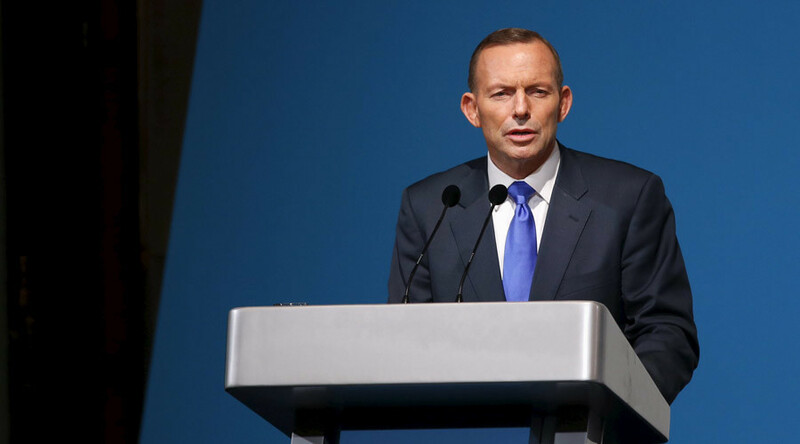 Abbott unexpectedly popped up in the Ukrainian capital on Monday. Let’s look at some of the invitees and what wisdom they have to share. While still in office, the ex-PM had the third-lowest career-low approval rating of 24%, according to a February 2015 Newspoll. After losing Liberal leadership challenge back home last September and becoming vacant for political endeavors, Abbott was quickly invited to visit Ukraine. 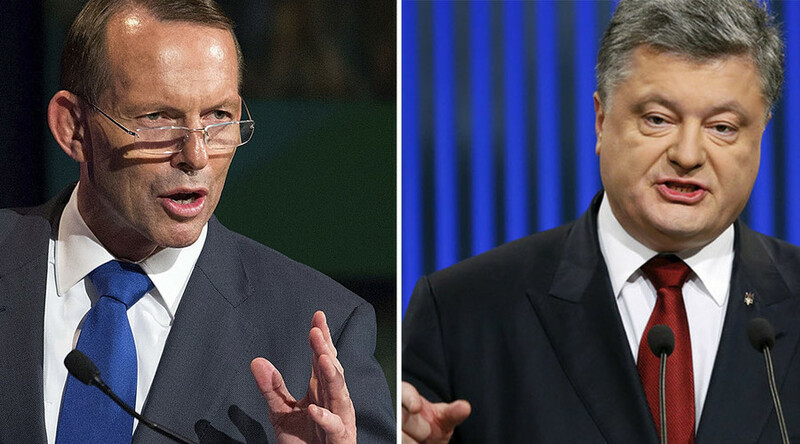 Abbott and Poroshenko certainly have one thing in common – their dislike of Russian President Vladimir Putin. The former Australian leader said he would “shirtfront” the Russian head of state on the sidelines of 2014 G20 summit over the MH17 tragedy. According to Poroshenko, Abbott was one of the most popular foreign politicians in Ukraine back in 2014. Abbott even joked about it saying that the “shirt-front must have translated well.” However, Abbott’s threat never materialized and Putin ended up cuddling a koala at the conference. 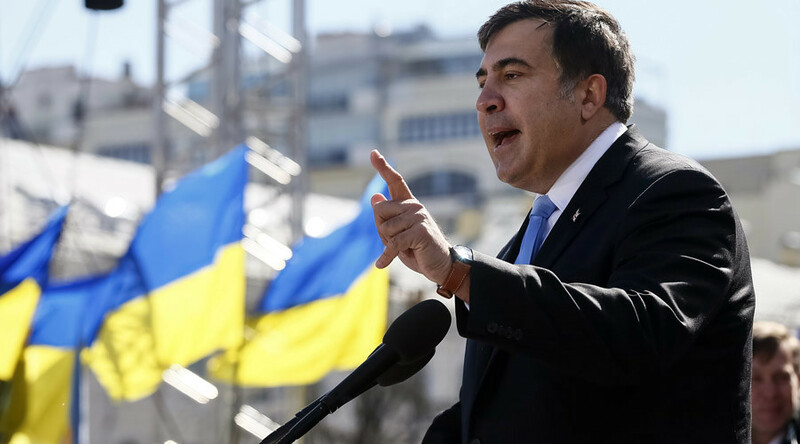 Despite being wanted on corruption charges – including the embezzlement of over $5 million back home – and having his Georgian citizenship rescinded, Saakashvili was briefly appointed as the head of the International Advisory Council on Reforms in 2015. Currently serving as the governor of Odessa, he managed to get into a shouting match with Ukrainian Interior Minister Arsen Avakov, who was incidentally born in Armenia, with a ‘water fight’ ensuing between the pair. 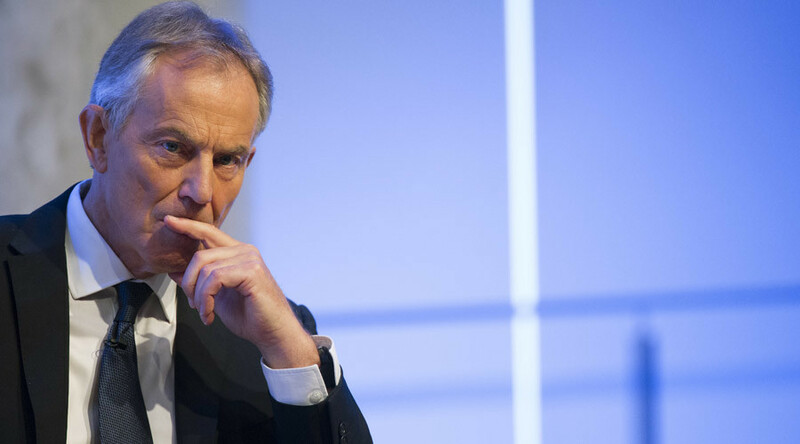 The former leader of New Labour and UK Prime Minister between 1997 and 2007 has also been invited by Kiev to advise on reforms and foreign policy issues. The Ukrainian president was keen on the former British PM joining his group of foreign advisors, describing Blair as “a true friend” and wanting him to "share his experience of public administration." Meanwhile in the UK, some have called for Blair to stand trial for war crimes over the consequences of his actions in the invasion of Iraq, which the upcoming Chilcot inquiry report is expected to reveal. 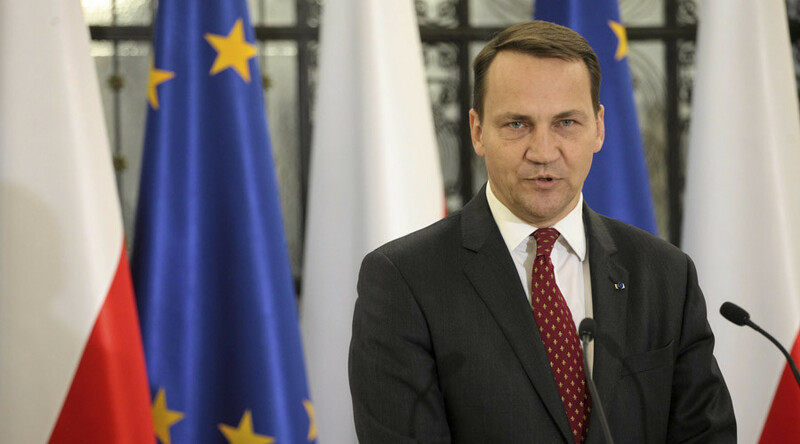 Sikorski said he hoped Ukraine could “learn from the Polish experience” after being appointed to Poroshenko’s International Advisory Council for Reforms. 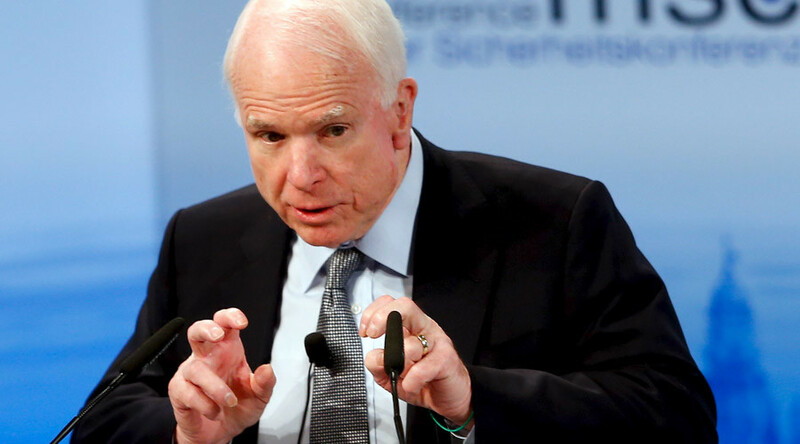 During the Ukrainian crisis, the former Polish foreign minister called on NATO to threaten Russia militarily if necessary. His wife, American-Polish journalist Anne Applebaum, is equally hawkish in her views, having previously mentioned that Europe should prepare for "total war" with Russia.